The future of healthcare is more and more communication between patients and medical professionals. We’re saying great leaps in this with new websites and apps designed to establish clear, dynamic, and accessible channels of communication. Dr. Shah’s company MyMeds is one such platform that is effecting this change. Billions of dollars are wasted by prescriptions that are not used as advised (or at all). With MyMeds pharmacists, physicians, and patients, can easily monitor a patient’s medication via an intuitive cloud-based app to make sure that the patient is using the medication as prescribed. Check out the above video, and let me know what you think @MarkBehl. An article released in TechCrunch earlier this year, mentioned that the biggest obstacle to digital health startups is the integration of the technology that these companies provide into larger legacy systems. However, over the past year, we’ve seen some great leaps and bounds in the digital health industry. One report from StartupHealth indicates that over 111 deals documented in the digital health subsector. Together, these deals accounted for a total of $1.3 billion. The digital startups that have been making out like bandits have been doing so because of their laser-focus on enhancing the patient experience. Below is a look at three digital health companies that are particularly shaking things up. Based out of India, Practo offers a booking service for healthcare appointments. In August, it raised $90 million in Series C funding from Tencent, Sofina, Google Capital, Sequoia India, Altimeter Capital, Matrix Partners, Sequoia Capital Global Equities, and Yuri Milner. With this funding, Practo is planning to expand the amount of cities where it is currently operating from 35 to 65. What’s more, Practo has also begun collaborating with Uber. In India, Singapore, and Indonesia, users will be able to see the closest Uber available when they receive reminders for their appointments and they will also be able to see the amount of the estimated fair, the estimated time of arrival for Uber, and the destination address at the start of the trip. The biggest talking point with Omada Health is the way that it’s placing priority on clinical validation. On their website they bill themselves as pioneers of “digital therapeutics…a new category of medicine that sits at the intersection of technology, and design.” This past year, they added a program for patients at risk to cardiovascular disease to their site. Investor must be big fans. Omada Health raised 48 million in their Series C round, which they plan on using to expand their digital therapeutics programming on type 2 diabetes. With their intersectional focus, this program will span web, mobile engagement, and counseling efforts based on guidelines from the National Diabetes Prevention Program. It’s newest investors include Norwest Venture Partners, GE Ventures, and dRx Capital. ZocDoc is already known for providing an outstanding appointment booking service, but now they’re looking to enhance patient experience even more. At $130 million, ZocDoc raised one of the largest funding rounds this year. Streamlining the process of booking appointments has been a target for many digital health startups, but ZocDoc is looking to set itself apart with exceptional price-comparison tools and an aggressive approach to expanding its customer base. This past year saw Fitbit, Teladoc, and Evolvent Health (mentioned in another one of my posts) go IPO. 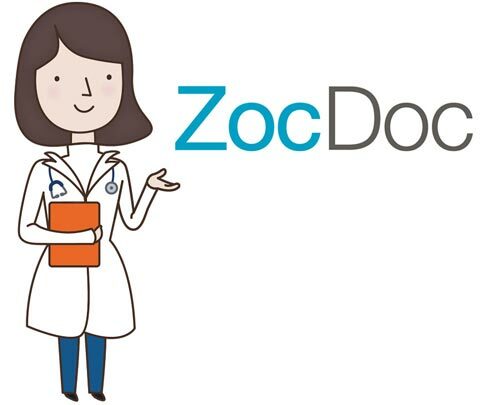 The word on the street is that ZocDoc might be next. Some other companies worth mentioning included Doctor on Demand (which provides telemedicine services), Pager (a medical concierge service), Medical Memory (a way for specialist physicians to record appointments with digital video and store records), and Oscar (a streamlined health insurance company). For a look at the article on which this is based, check out MedCityNews.com. When it comes to healthcare, you always want to be able to provide the best quality care. Whether it’s employee knowledge, tools, or facility amenities, you want to make the process of a patients stay as best as possible. Bay Area Medical Center, located in Marinette, Wisconsin has taken a huge stride in doing so. Bay Area Medical Center has acquired the Infinix Elite cardiovascular X-ray system from Toshiba America Medical Systems, Inc. Now what does this exactly do? The Infinix Elite cardiovascular X-ray system provides patients with efficient exams that rid the choice between safety and image quality. The Infinix Elite offers access no other machine can provide for safer and more efficient exams with a C-arm designed to safely move around patients and clinicians. Toshiba’s WorkRite ergonomic enhancements allow a quicker, more accurate exam, while Spot Fluoroscopy helps manage radiation exposure. Toshiba has a history of providing a helping hand in the healthcare industry. Dating back to 1914, Toshiba was the first to start research on X-ray tubes. They continue today to be a national leader in diagnostic imaging equipment. Many large organizations trust Toshiba Medical Systems. They are currently the official medical systems partner of Manchester United FC. For more on this article, check it out at BusinessWire.com. The University of Nevada School of Medicine has close to 70 people graduating on May 15, 2015, however, only seven of those graduates are expected to stay behind and practice their profession in Nevada. Past statistics have shown that 90% of graduates seek opportunities elsewhere and do not plan to ever return to the Silver State. The state is currently grappling with a pressing need for additional medical doctors- it’s the largest area in the country without teaching residency institutions and only one public medical school that caters to its students that area spread across an area of 400 miles. Many studies show that doctors and hospital administrators usually practice in the same state they graduated from, which helps increate the quality care and the numbers of practitioners for that specific state. However, this trend is not as easily transferable to Nevada and its public medical school. This indicates the importance and urgency of developing independent medical teaching schools around the state of Nevada as well as continuously increasing the overall quality of education. Mark Doubrava, an official with the Nevada System of Higher Education, believes that residency programs have to be linked to strong medical schools. This is the only way to create a system that fully supports students in all stages of their education and beyond. State officials are also working along side lawmakers to develop excellent medical campuses across the state that are meant to attract new students and tenured faculty who are willing to establish a prominent medical culture. The State Medical Association of Nevada has expressed that they will need thousands of doctors and nurses in the upcoming decades, and this is the time to start thinking of new strategies to build the infrastructure to house these new additions. With already aging practicing physicians, these needs are even more relevant. After enduring a season that saw the Nevada Wolf Pack go 9-22, 5-13 in the Mountain West Conference, Nevada has decided to part ways with head coach David Carter. Carter was previously a long time assistant to previous head coach Mark Fox but when Fox left to take the Georgia job, Carter was promoted to head coach in April of 2009 signing a 5 year contract. Nevada as a basketball program had been gaining a lot of momentum having posted six consecutive seasons of 20 or more wins. Carter was quoted as saying, “This program is not going backward, I promise that.” In the last 3 seasons, Carter’s Wolf Pack have gone a combine 36-58, which looks to be backwards. The rumor mill has begun to turn for possible replacements for David Carter. Tony Barbee is one name that has circulated at Nevada. Barbee is currently an assistant under John Calipari at Kentucky, who is currently going through one of the schools best seasons in history. Barbee does have head coach experience from his time at UTEP and Auburn. Another possibility could be Joe Pasternack. Pasternack currently serves as the associate head coach at Arizona who is currently on a run in the NCAA Tournament. Pasternack has also served as a head coach previously at the University of New Orleans. The final candidate that has surfaced is Eric Musselman. Musselman, the son of former NBA coach Bill Musselman is considered to be the top candidate. Eric Musselman currently serves as the associate head coach of the LSU Tigers. Musselman spent one year as head coach of the Wolf Pack in 2010 when he lead the team to a 34-16 record. He has spent time with many west coast NBA teams, specifically in California, which is a great area for Nevada to recruit in. Back in November of 2014, Uber, the transportation service similar to taxi cabs, had been suspended from operating in the state of Nevada. Uber had just began operating in Nevada in October but the operation didn’t not last past November. The service was suspended due to Uber breaking various state regulatory laws that saw some 50 Uber drivers cars impounded during its short stint in Nevada. On November 24th, Washoe County District Court Judge Scott Freeman ruled that Uber operations would be temporarily shut down until the situation as a whole can be closer and examined and a final ruling could be made. That ruling came on January 25th. Despite more than 26,000 people signing a petition to allow Uber’s services, ultimately the petition was denied. Why? The petition was denied because what it breaks down to is what Uber is doing is downright illegal. In the state of Nevada, taxis and limousine have certain protocols to follow to drive in the state. There are licensing, permit fees, inspections, and insurance that are supposed to be had in order to drive in the state but Uber does not follow these protocols. You may ask why is Uber still trying to pursue their business in Nevada despite blatantly not following the rules? Uber thinks they’re an exception because they claim to be a technology company and not a transportation service. They often tell people that they are a technology company that employs drivers, in order to get out of certain legal obligations. February 2nd starts the 78th Nevada legislative session. The session lasts 120 days. If anything were to be further done about this matter, it would be during this time frame. I’m sure Uber will make a strong case to allow their service in the timeframe. Las Vegas alone is probably a big revenue source for Uber so they’ll do their best to get back into Nevada. Over 36 million visitors head to Las Vegas each year to gamble and have an unabashed good time. After all, “what happens in Vegas, stays in Vegas”. However, there is more to Nevada than its glamorous city. The Silver State is filled with a plethora of natural gems, from scenic Lake Tahoe to the Valley of Fire State Park. Lake Tahoe boasts radiant blue waters and encourages visitors to partake in the natural resources available to them, water and snow sports being the most prominent. One can enjoy boating, swimming, kayaking as well as hiking on the the eastern shore while Lake Tahoe’s South Shore offers a more kitschy atmosphere and some fun casinos. For a more upscale experience, Tahoe’s North Shore is the place to go, especially if gambling is on your vacation to-do list. Apart from popular casinos, such as the Cal Neva Lodge and Tahoe Biltmore, the North Shore also caters to skiers and snowboarders, who can drift down some of Nevada’s most beautiful slopes, including Heavenly Mountain, Mount Rose Ski Tahoe and Diamond Peak. The Valley of Fire State park is located in the Mojave Desert, 55 miles northeast of Las Vegas. It is Nevada’s oldest state park and was established in 1935 in order to preserve ancient drawings of the Anasazi Pueblo tribes. The parks offers many rare plant and animal species including endangered desert tortoises, which you can try to spot in addition to coyotes, kit foxes and rabbits. It is the ideal vacation spot if you’re looking to be outdoorsy. Picnicking, hiking and camping are all absolute musts if you’re going to be visiting the Valley of Fire State Park. Laughlin is located on the banks of the Colorado River, where Arizona, California and Nevada meet. The neighboring desert is unpopulated, for the most part, which gives the resorts in the area a special and exclusive feel. Laughlin was initially a mining town; the first casinos didn’t open until the 1970’s; however, a lot of resorts have popped up since then including the Colorado Belle Hotel and Casino and the Aquarius Casino Resort. Must see events are the stunning annual fireworks on July 4th and the River Regatta, an event in mid August where thousands of inner tubers float down the river in big embellished costumes. For most of 2014, the new transportation service Uber has taken America by storm. Uber is a ridesharing service offered via an app on your phone. What the app does is pair near by drivers with people looking for a ride. It is thought to heavily rival the typical yellow taxi. Although the service officially launched in San Francisco in June 2010, it has made many headlines in 2014. Despite raising $1.2 billion round of funding this year and raising their business evaluation to $17 billion, it has not all been great news. From complaints about drivers harassing riders to unexpected rate hikes, Uber has not had the best 2014 and things are only getting worse. Uber has been suspended in the state of Nevada. Uber, having come to Nevada just in October had some early on success having its for ride through Sin City by the lead singer of The Killers, Brandon Flowers. It wasn’t such smooth sailing afterwards however. It was reported about 50 Uber cars have been impounded in Nevada and drivers were constantly being written up for citations by Transportation Authority. On November 24th, Washoe County District Court Judge Scott Freeman ruled that Uber operations would be temporarily shut down. For how long some ask? The answer is not yet known. Uber took it to their blog to release the news. Uber stated that there is a misunderstanding of how the service benefits the people of Nevada. They also stated that nearly 1,000 jobs in Nevada would disappear overnight. Uber was trying to show that while they provide a great service for riders, they also helped Nevada’s employment rate by providing nearly a 1,000 jobs. Uber has had its troubles of late, but many expect them to turn it around. Many executives believe their operations will return to Nevada sooner rather than later. For more on this story, check out this article at Forbes.com.